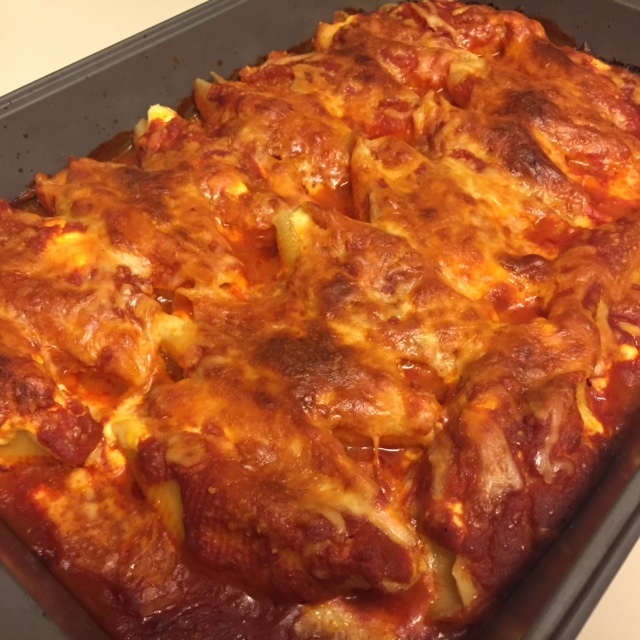 Wellllll it has been quite awhile since I have posted a new recipe! My apologies, this year has been super crazy with planning a wedding that is now less than 2 months away! Bare with me for the rest of the year, I will post when I can and I promise, next year will be better! The recipe I am bringing you today is a simple one that tastes delicious and is definitely comfort food. Italian, cheesy, pasta.... Yum! 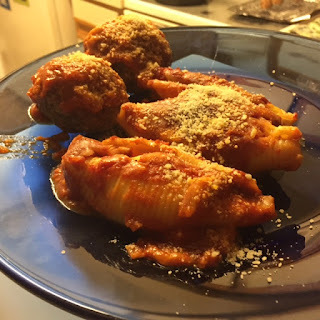 I served these with meat sauce and meatballs on the side, but you can keep it meat free by not adding those additions. Serve with a salad and garlic bread! While pasta is draining and cooling enough to handle, spread half the jar of sauce in the bottom of a baking dish. Mix together egg, ricotta, and half the parmesan. 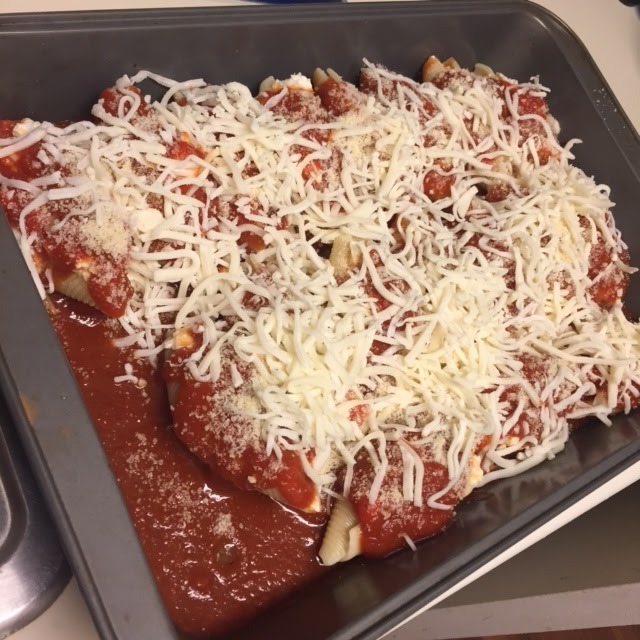 When shells are cool enough to handle, fill each shell with cheese mixture and place in bottom of baking dish on top of sauce. 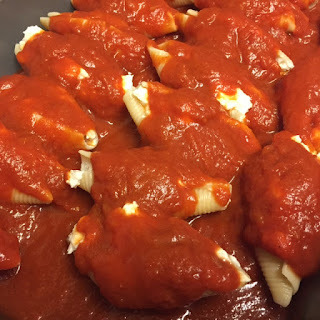 Top filled shells with remaining sauce and sprinkle on remaining parmesan. Sprinkle on mozzarella and bake for 30-45 minutes.